Our sweet little guest of honor. This was my one last chance to throw a princess party (she's almost too old for so much fuss) and it was the most planning fun I've had in a LONG time! This party was from a few months back. Since then I've learned so much more and would have done a few things differently if I'd only known (why didn't y'all tell me sooner???) like design, photography, party favors, etc. But I also did a lot of things right AND the girls had a blast! So it all shakes out, right? Our welcoming sentry's (brothers) checking everyone in on the guest list. THEIR idea to wear suit jackets & ties with their t-shirts and gym shorts. Haha! I *LOVE* it! Each guest must make a wish and throw a penny in the well (chest). No one enters until they've been dubbed a prince or princess! (REAL sword!). (that's another son dressed as a whomeve-it-is that handles the sword). The girls embellished crown door hangers and foam picture frames with lots of glitter & jewels, with the help of our older daughter. A picture of each child was taken while they sat in the throne and later put in the frames they made. My daughter-in-law helped the girls make flower hair clips. GAMES GAMES GAMES.....and my favorite was the dress-up relay. So hilarious! A table fit for a prince and princesses! 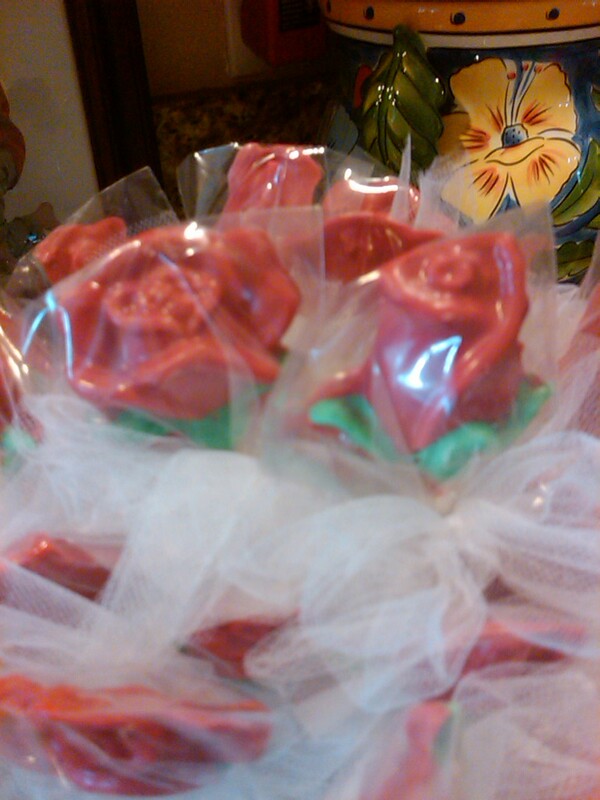 Chocolate roses (for Belle) made by yours truly. The royalty are ready to eat!